As contemporary house design gains traction a move to revisit mid-century modern architecture was inevitable. 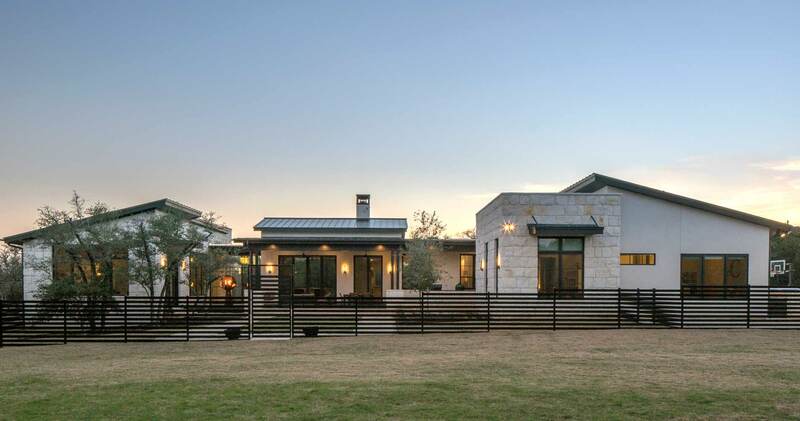 So it is with this Hill Country version of the California ranch, or rambler. It’s a good example of the same principles that led Cliff May and later Frank Lloyd Wright to adapt the prairie stylings of the 1930s and the more informal pre-WW2 bungalow into a functional structure for new suburban families. Ranch homes strive to provide access to the nature that surrounds them – thriving on natural light. 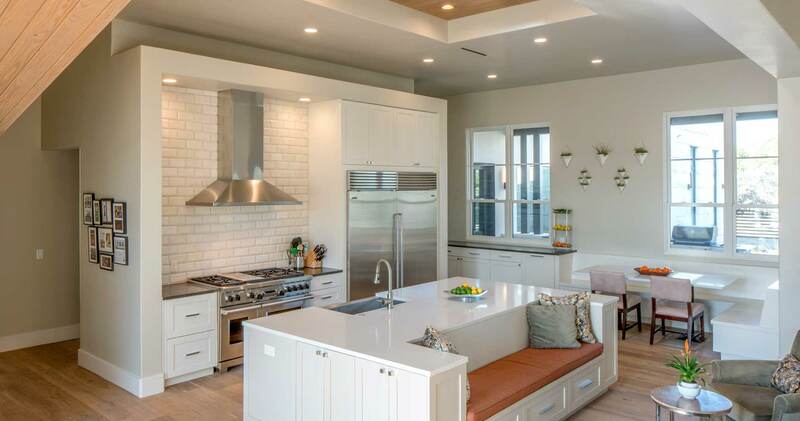 Here an airy kitchen doubles as a gathering spot and conversation nook – even when the cook’s not cooking. 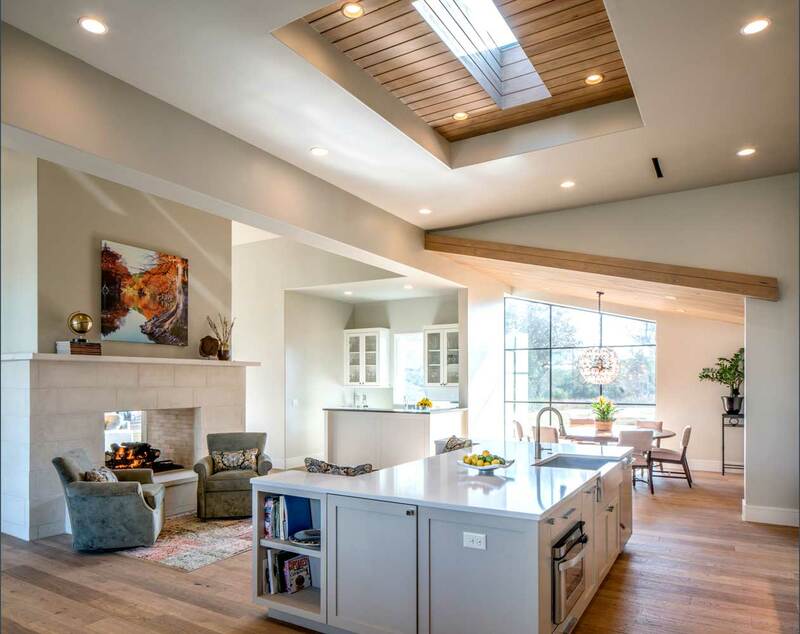 The high, vaulted ceilings are suffused with a multi-level skylight distinguished by warm wood panel accents. 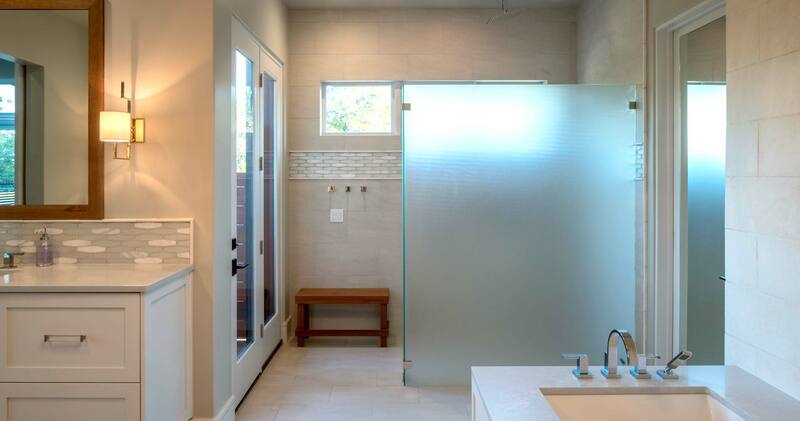 Even the master bath invites the light with its open layout and translucent shower walls. 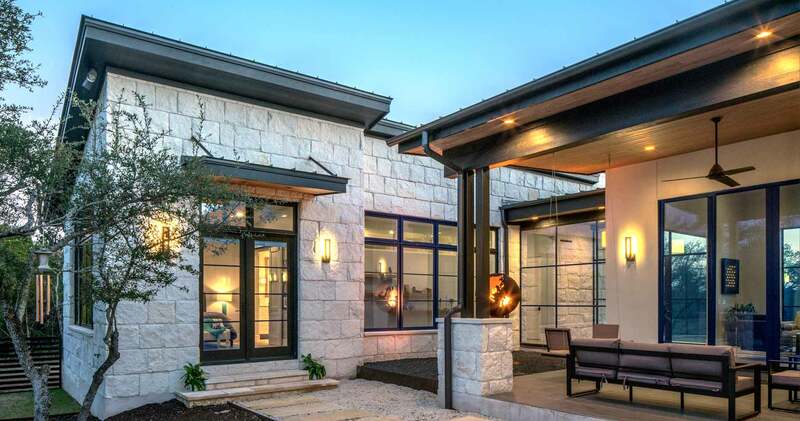 Modern ranch homes tend to minimize the barriers between in and outdoors. 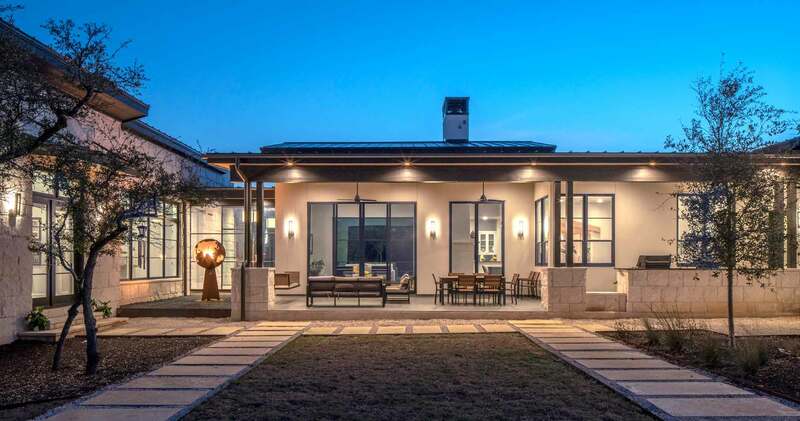 Here, the living area is bracketed with two glass walls: on one side an inviting entry area; on the other a covered patio and beyond a well tended lawn encompassed by an orderly stepping-stone border. The comforts of the interior spaces blending with the beauty just beyond the glass. 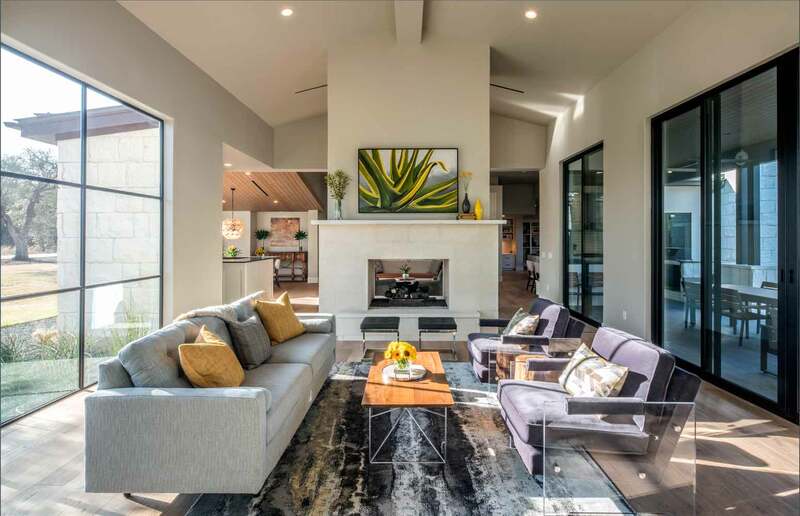 In the Midwest these ranch homes are named “ramblers” – perhaps because the style encourages casual exploration of the distinct, but connected living spaces just a the edge of one’s eye line. And, of course, the characteristic angles: of a myriad of roof-lines, with a different approach for each “out-building. 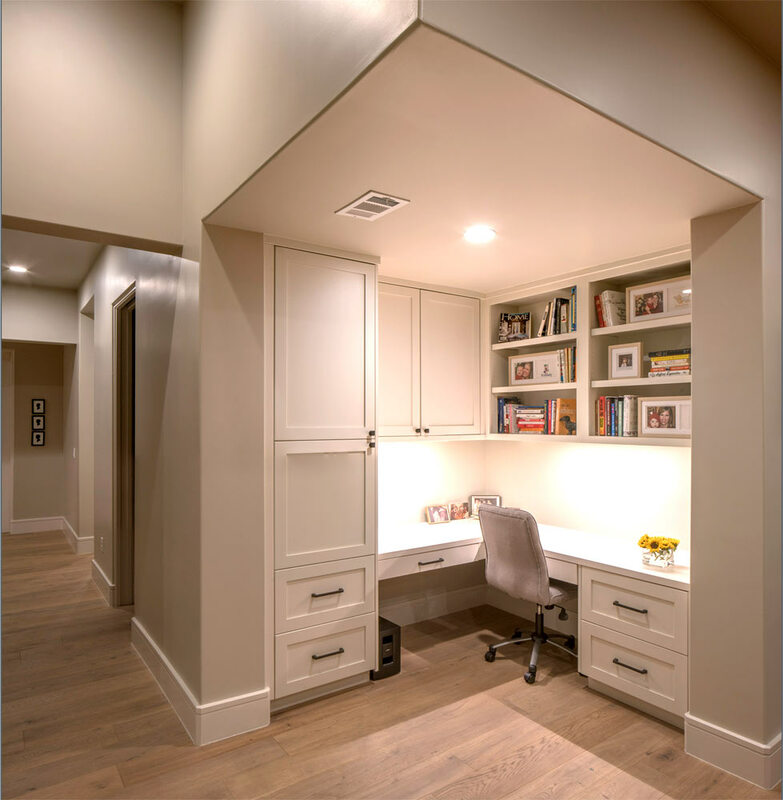 ;” of the coffered and vaulted ceiling varieties; of the surrounding supports for an office nook built into an unsuspecting corner.